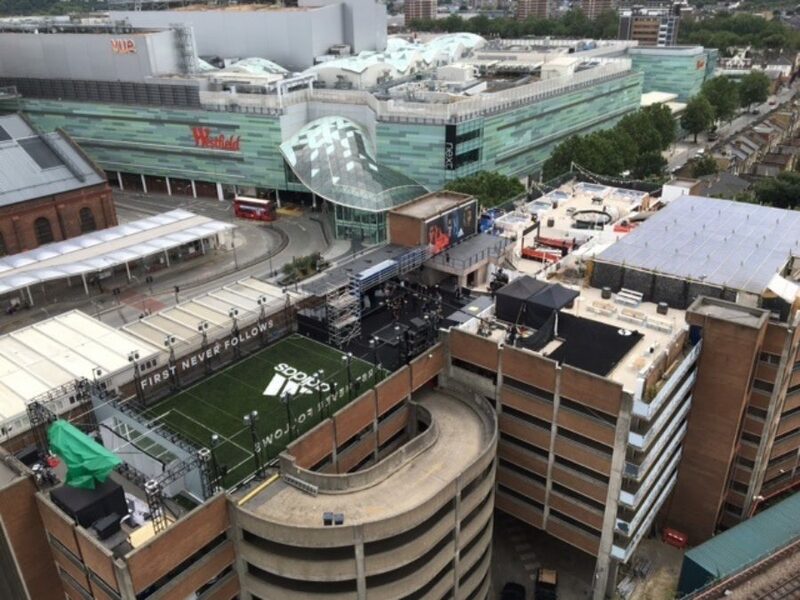 The F2 Freestylers Billy Wingrove & Jeremy Lynch, filmed their first live TV show at an event sponsored by adidas sportswear on 25 July on the roof of Television Centre’s car park. Camera crews and the public gathered to watch football freestylers and a performance from singer-songwriter Wretch 32. Having opened the show at the World FIFA Ballon D'or, Billy and Jeremy are known for having something unique to show with every performance. The pair of football experts spend hours each day perfecting choreographed routines which never fail to excite and amaze audiences. The F2 Freestylers are said to be some of the best in the world when it comes to their stunning synchronization and showmanship and have gained the support of football stars such as Christiano Ronaldo and Lionel Messi. 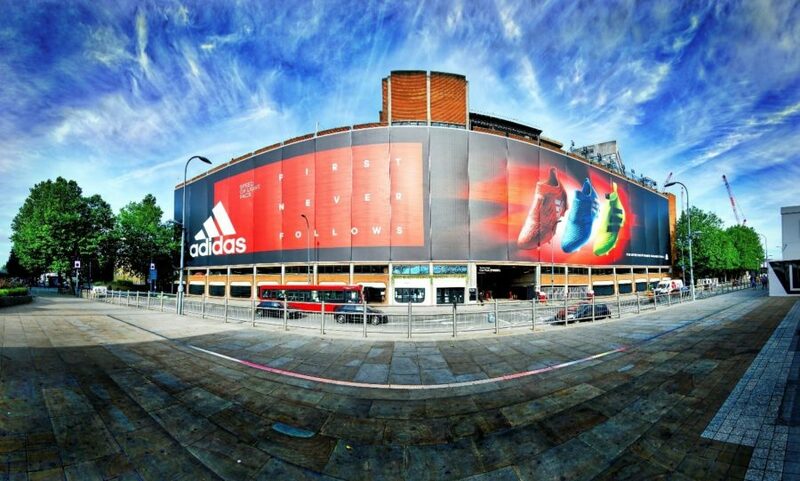 A large adidas banner has been placed on the side of Television Centre’s car park this will be replaced by the original Television Centre banner in mid August.